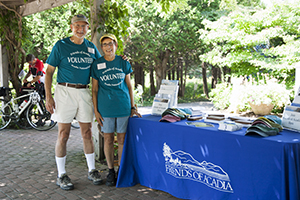 Join this fun group of Friends of Acadia member-volunteers at the membership table at the Jordan Pond House. During the summer, the membership table volunteers personally tell the story of citizen-stewards preserving and protecting Acadia National Park, and help park visitors to join or renew their membership in Friends of Acadia. Training is provided, and you can volunteer at times that meet your own schedule. 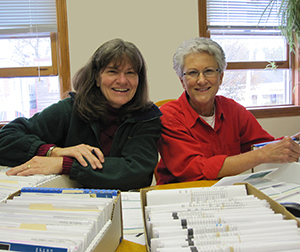 With year-round opportunities in the Friends of Acadia office, volunteers help with data entry, prepare mailings, and otherwise lighten the load on our staff—a much-appreciated service that helps maximize the effectiveness of our organization. To learn more about these and other volunteer opportunities, contact Sharon at Friends of Acadia at 207-288-3340 or use our volunteer information request form.